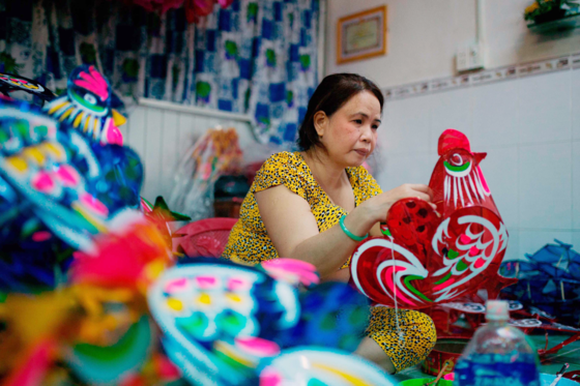 Ms. Dung’s family can sell around 2,000 lanterns in a short time. 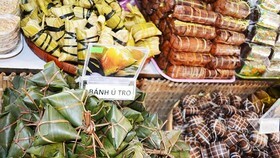 Although cheap foreign goods have flooded the markets, can be seen everywhere and make it difficult for the Vietnamese-made products for their eye-catching designs and bright colors; households in the craft village have still kept the unique tradition alive by producing traditional lanterns for the Mid-Autumn Festival. 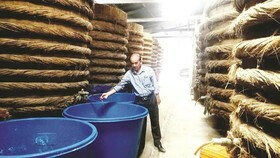 Besides traditional styles, craftsmen create new models and diversified shapes to attract children. 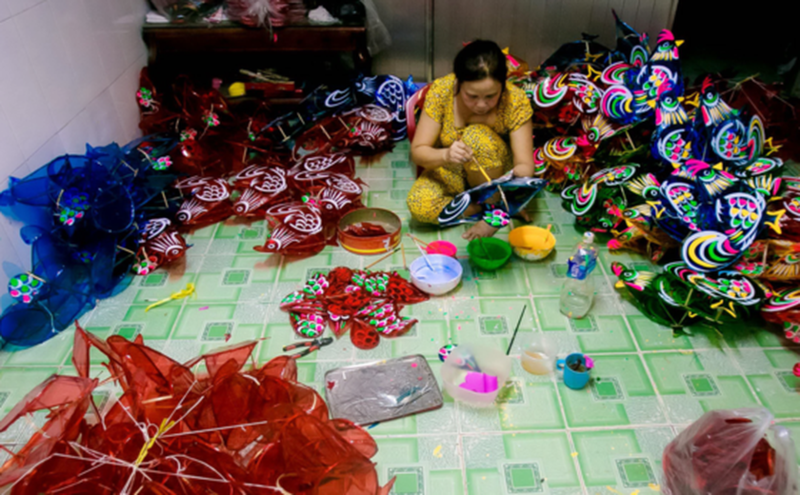 It takes a lot of time to make a Vietnamese traditional lanterns. 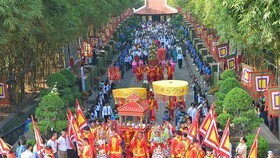 Artisans cut bamboo and bend them into the desired shapes, then decorate with colorful glass paper. 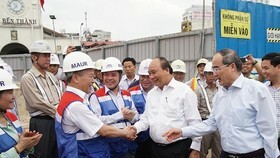 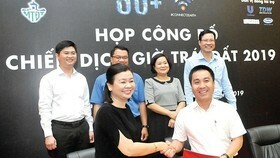 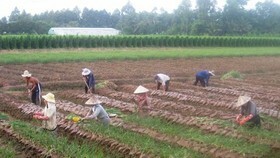 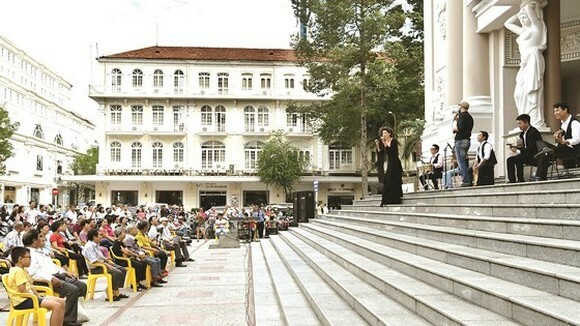 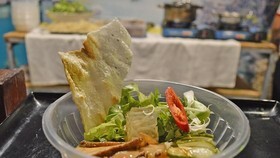 Businesses have received orders from Hoi An, Da Nang and Hanoi. 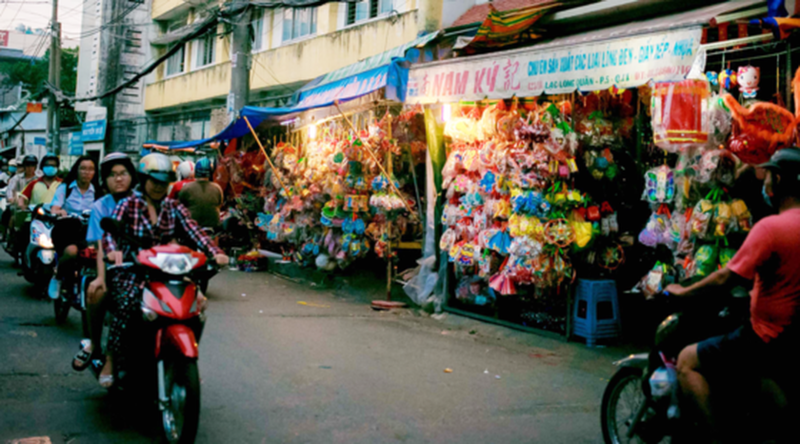 The Phu Binh Lantern Village have been busy as the Mid-Autumn Festival nears. 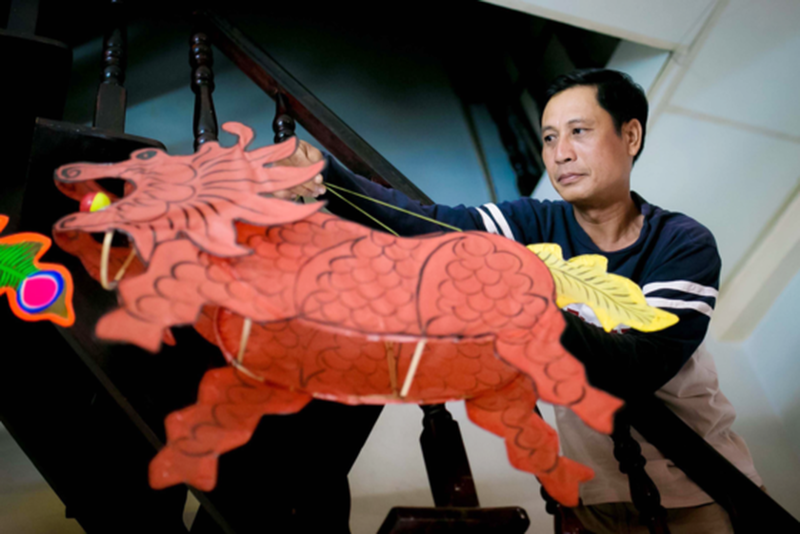 Mr. Thanh, an craftsman in Phu Binh village is making a lantern.